Drawing from the world of scientific research, Dan Walwin constructs fictional and speculative spaces which seem to be beyond the linearity of our day and age, where systems of logic no longer appear decreed by the centrality of human presence. 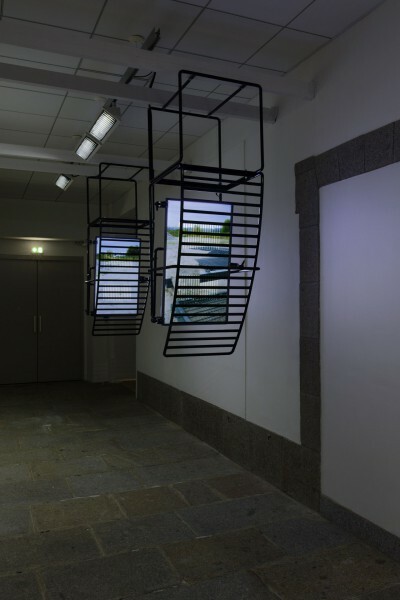 In choreographing the capture of ordinary landscapes with the help of a motion control camera, his films offer us a spatial and sensory experience that is disconnected from our body. We are no longer altogether familiar with the motions and the sense of scales and directions —possibly animal or post-human. 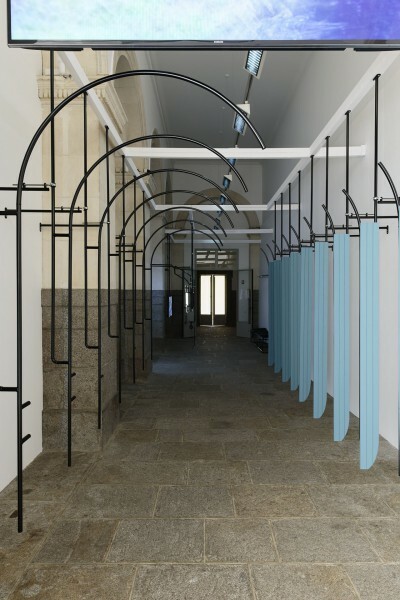 Sound, the host of panels and metal tubes, and the presence of a whole frame of reference of apparatus are incidentally aimed at putting back together an environment which the artist describes as an “emotional space”. 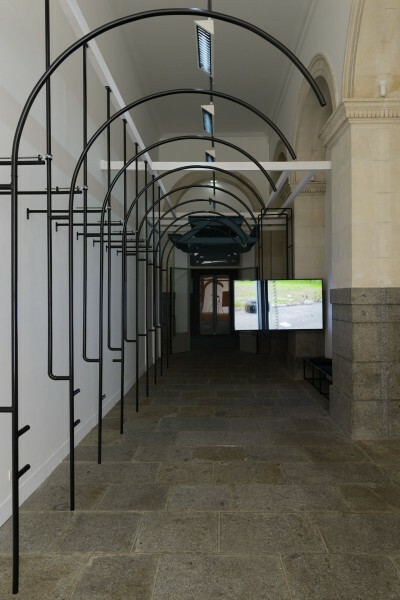 For this new work titled Bridge with sound (2018), D. Walwin has conceived a double installation for the corridors which frame the patio of the Musée des beaux-arts. 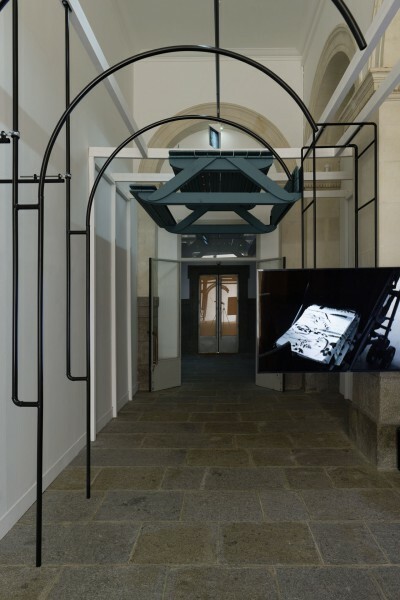 These passages, which we might let ourselves imagine as tunnels hewn by animals, have been designed in reference to the funereal antechambers of Ancient Egypt, where solar ships accompanied the deceased in their long journey between life and death. 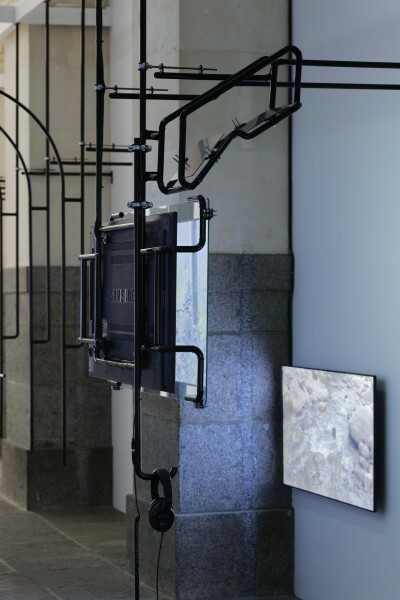 This underground and symbolic world corresponds to the images which file past on suspended screens, landscapes filmed by drones, marked by the influence of man, but from which he seems to have vanished. In crossing these two spaces which look like one another without being exactly the same, the sound, and the interplay of scale, double and details imbue a gradual disorientation, a sensation of confusion.